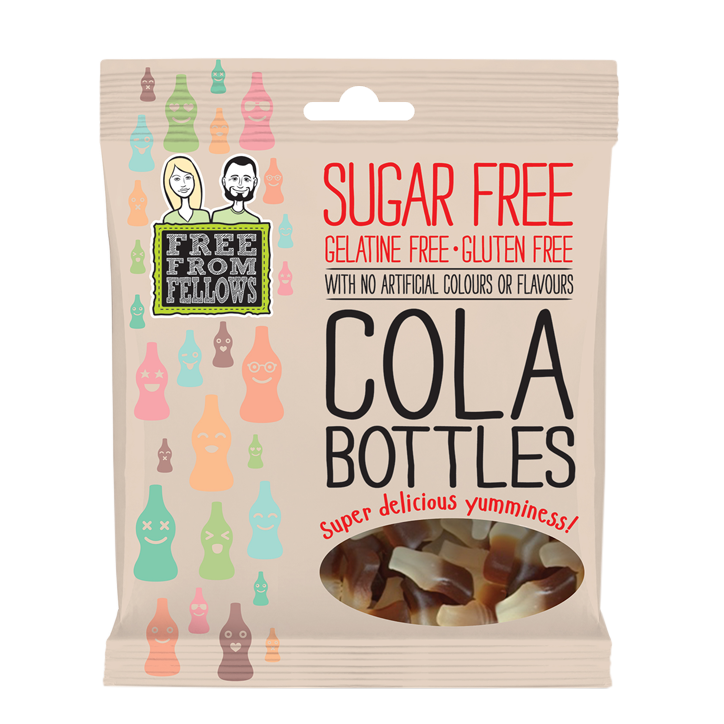 You won't be able to tell these gelatine free, gluten free cola lollies are sugar free! Sugar-free lollies that are also gelatine-free (vegan), gluten-free and free from artificial additives. Ingredients: Maltitol syrup; maize starch, water, acid: citric acid, natural flavorings, vegetable oil (coconut and rapeseed), glazing agent: carnauba wax; natural colour: ammonia caramel; sweetener: steviol glycosides.